Named in a 2001 Finanical Times Group survey as one of the “top 50 business thinkers in the world,” Chris Locke is a co-author of the best-selling The Cluetrain Manifesto. His other books on publications on marketing in the Internet era include Gonzo Marketing and The Bombast Transcripts. He is president of Entropy Web Consulting, and editor/publisher of the widely acclaimed and justly infamous webzine Entropy Gradient Reversals. Now based in Boulder, Colorado, Chris has worked for Fujitsu, Ricoh, the Japanese government’s “Fifth Generation” artificial intelligence project, Carnegie Mellon University’s Robotics Institute, CMP Publications, Mecklermedia, MCI, and IBM. 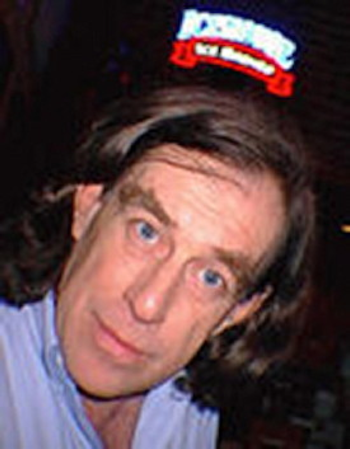 He has written extensively for publications such as Forbes, Release 1.0, Information Week, Publish, The Industry Standard, and Harvard Business Review, and his professional work has been covered by Fast Company, Wired, Advertising Age, Business Week, The Economist, Fortune, The New York Times, The Wall Street Journal and many others.